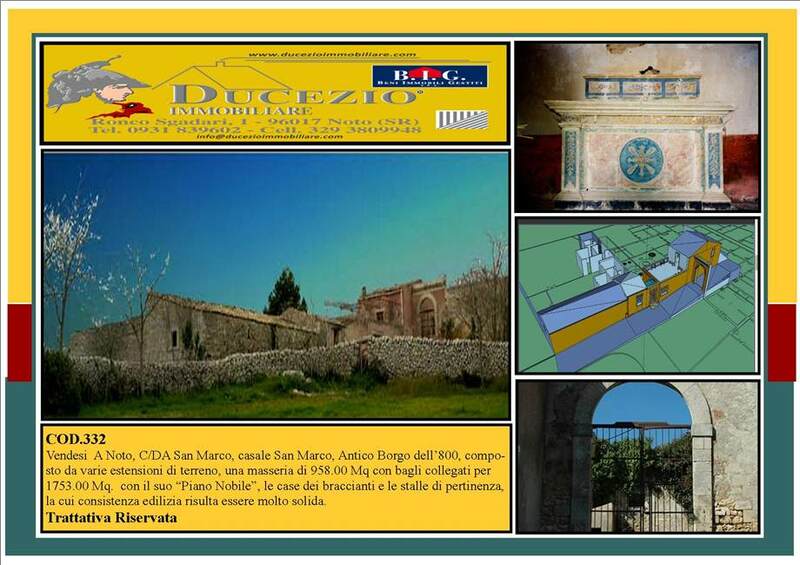 For sale Agricultural land the site is Known, the area of San Marco. It is composed of various extensions of land. Casale San Marco is a farm of sqm. 958 with beams per sq. 1753, the consistency of which the construction is very solid; it is composed from the noble floor, the houses of the labourers and the stables of relevance.